Medical Malpractice and Negligence Attorney | New York & New Jersey | Law Offices of Adam M. Thompson, P.C. It is normal and comforting to place a great deal of faith in the medical professionals, facilities and companies that we depend on. We place our trust in their diagnoses and courses of treatment, and most of the time this trust is rewarded. However, it is important to remember that physicians, as well as nurses, pharmacists, hospitals and other medical professionals, are not beyond questioning. Mistakes can be made that cause patients to suffer dangerous side effects, significant injury or even death. These preventable mistakes happen across the country with alarming frequency: up to 98,000 Americans are killed every year by medical malpractice. The best protection against such preventable tragedies is being an informed patient. We understand how difficult it is to lose a loved one or see a family member in pain because of a medical condition. This is especially true when that condition could have been prevented or the damage minimized by proper medical care. Medical malpractice is a violation of the trust that we all place in our medical providers and physicians. Our faith and reliance on their skills should be rewarded with the most competent care possible. The consequences of medical negligence, which can include loss of life, emotional support and income, can be devastating to a family. Though a favorable verdict and monetary reward cannot bring back a loved one or undo a medical error, it can help maintain the quality of life for those who depended upon him or her and serve to acknowledge that a wrong was committed. Failure to diagnose, delay of diagnosis or misdiagnosis of an illness – Errors or delays in diagnosis decrease the likelihood of successful treatment and full recovery. Birth Injuries – Impairments caused by adverse events at birth can lead to horrendous, life-altering consequences for a newborn. 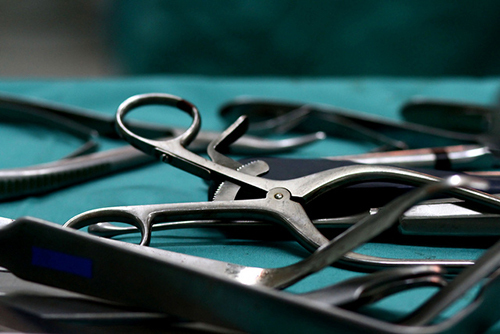 Surgical Complications – Can include problems resulting from incorrectly performed surgeries. Eye Injuries – Can result from failures of diagnoses or surgical complications. Mishandling of medications – Failure to correctly dispense medications. Prescription errors – Failure of hospital staff or a pharmacist to dispense the right medicine to the right patient in the correct amount. Inappropriate or substandard treatment – Failure to properly treat a medical condition. Failure to provide treatment – Failure to provide any treatment or the right type of treatment. Failure to follow up on a patient – Failure of a treating physician to check on a patient's condition, or failure of medical staff to inform the treating physician of changes in a patient's condition. Failures to obtain informed consent – A medical professional must inform the patient of the risks associated with invasive medical procedures (such as surgery) and obtain the patient's informed consent before proceeding with the operation or medical procedure. Anesthesia-related complications – Failure to safely administer anesthesia. Failure to prevent patient injuries – Inability to prevent injuries, such as falls, on medical facility property. Medical malpractice claims are especially challenging to prove because the injured party must establish both the extent of the injury and that the injury was caused by the negligence of a medical professional. The Law Offices of Adam M. Thompson, P.C., is a firm that knows medical malpractice claims are often complicated and require an aggressive and knowledgeable approach. All claims have a statute of limitations, a number of years, after which you may not be able to pursue legal action. Therefore, it is imperative to get prompt legal advice from a medical malpractice attorney who is familiar with medicine and has access to a variety of medical experts in fields such as pathology, neurology, oncology, cardiology, toxicology, and pharmacology. The Law Offices of Adam M. Thompson, P.C. is highly experienced and knowledgeable in medical malpractice law and is committed to maximizing your results. If you or a loved one has been the victim of medical malpractice in New York City, or anywhere in New York State or New Jersey, please contact our office immediately by calling 855-497-2326. You can also fill out our online contact form for a free review of your case.